In "The First Christmas," Superbook takes our heroes on a journey through time to discover the true meaning of Christmas! Chris is so busy trying to get presents, he won't set up a manger scene--until he discovers the greatest Christmas gift of all time! Join the adventure as Superbook takes Chris, Joy and Gizmo to the hills of ancient Bethlehem. Witness Mary and Joseph's frantic search for lodging before their baby is born. Uncover a wicked plot that puts Jesus' family in danger. Experience the wonder as a majestic choir of angels heralds the newborn King lying in a humble manger. Gather your family and get ready for anexciting journey as our heroes learn that the true meaning of Christmas is far greater than parties and presents! 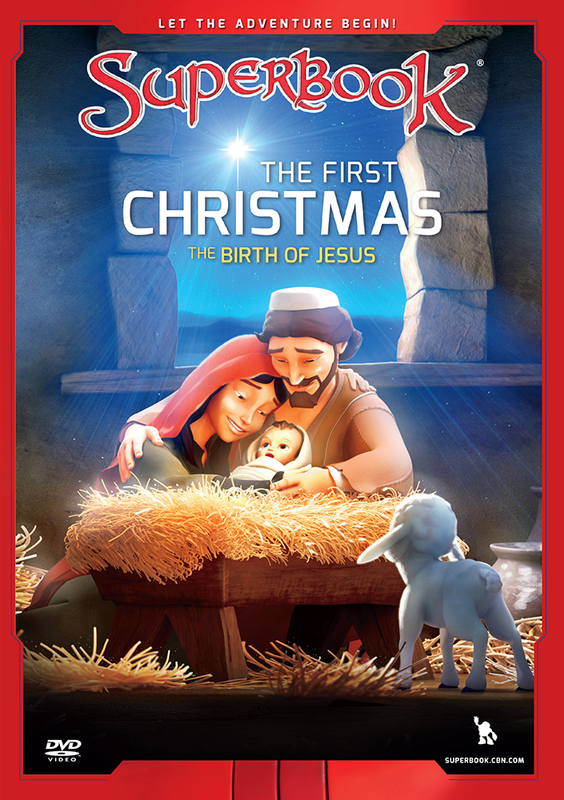 Superbook: The First Christmas DVD by ; was published by Charisma House in October 2015 and is our 5637th best seller. The ISBN for Superbook: The First Christmas DVD is 9781943541072. 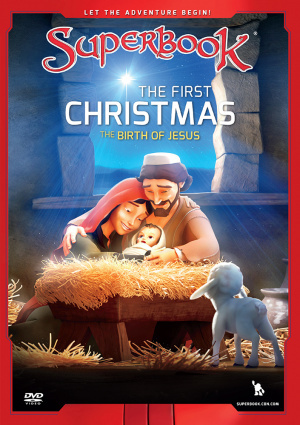 Be the first to review Superbook: The First Christmas DVD! Got a question? No problem! Just click here to ask us about Superbook: The First Christmas DVD. A:The DVD is 25 mins long. Thank you for using the Q&A Forum.